What is the fanfare that is played before the president, a general or other high ranking official arrives? 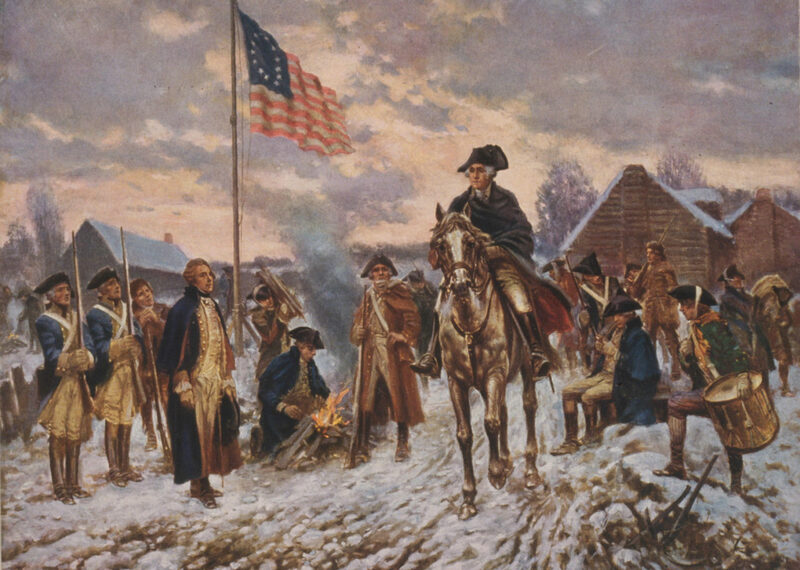 The 1847 Regulations for militia and Volunteers of the United States also included honors for general officers. These called for trumpets sounding a flourish and drums beating a ruffle. 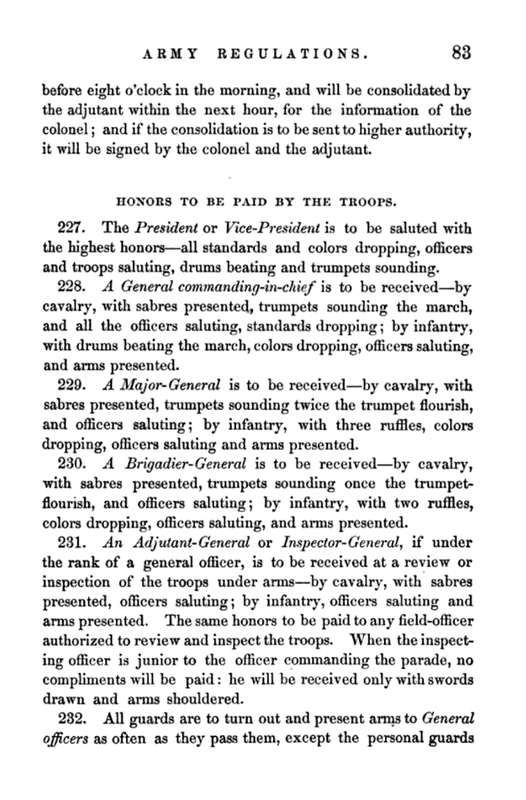 No music for the trumpet flourish exists in tactics manuals up through the Civil War. One would assume that trumpeters sounded a version much like today. In 1874 with the revision to the Upton Tactics Manual music was written for the Flourish-the two note fanfare we are accustomed to hearing today. 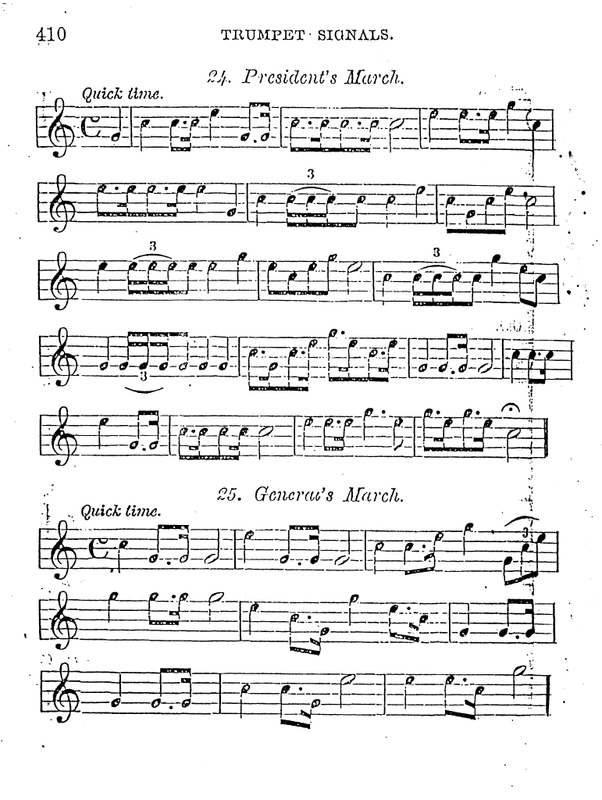 “Ruffles and Flourishes” are played stationary by trumpets and drums or with full band. All present should salute. In outdoor ceremonies ruffles and flourishes can be accompanied by cannon salutes-the number dependent on the rank of the person honored. At the Tomb of The Unknowns at Arlington National Cemetery, 4 muffled ruffles and Taps are used as honors for ceremonies at the tomb. 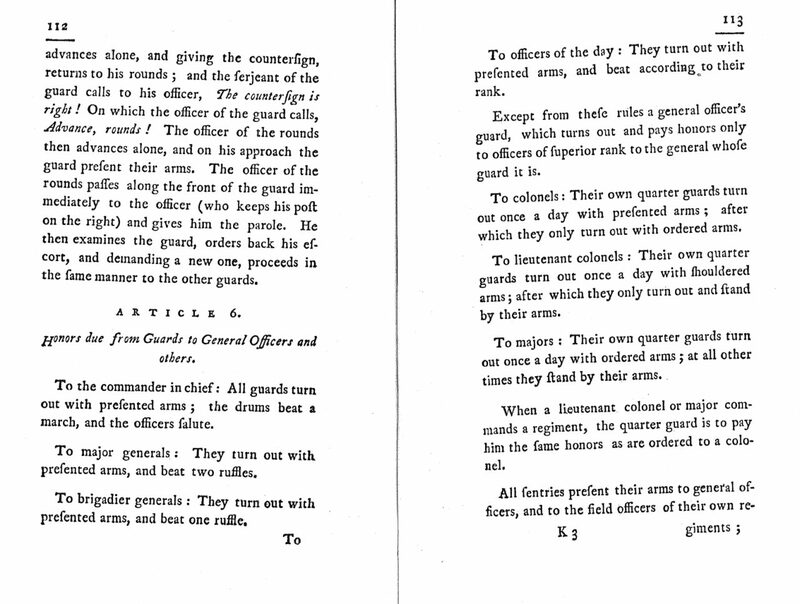 The US Army Table 2-1 of AR 600-25 governs the number of Ruffles and Flourishes and honors march due dignitaries. This entry was posted on Wednesday, May 11th, 2016 at 10:55 am	and is filed under Bugle Stories, Buglers Through History, General Interest, History of Taps, History of the Bugle, News, Taps Performance Guidelines. You can follow any responses to this entry through the RSS 2.0 feed. Responses are currently closed, but you can trackback from your own site.